Below, for your convenience and education, we have linked to some very useful resources which the government and others maintain on the web. When these resources are used together they can be considered a “crash course” on removal law, proceedings, asylum, and forms of relief. This section is especially useful to family members and spouses of those who are being deported, so they can understand what their significant other is going through and facing, and what their options are to combat it. You will need Adobe Acrobat to view the files below; Adobe Acrobat is a free file viewer and can be downloaded HERE. Another great resource from the Detention Watch Network, this is a quick an easy way to find Detention related facilities all over the United States. 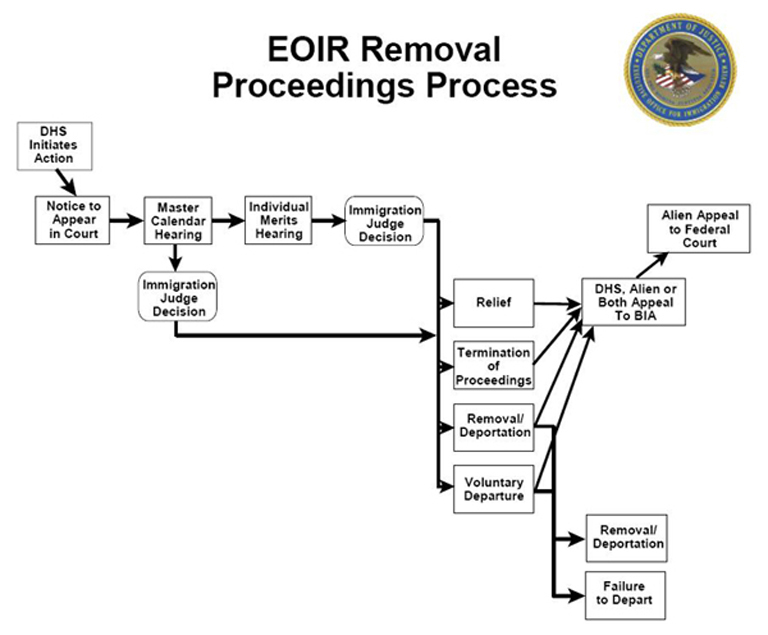 This guide provided by the U.S. Department of Justice describes some of the forms of relief from removal that those who are facing deportation may use including voluntary departure, cancellation of removal, asylum, adjustment of status, and review before the board of immigration appeals and the federal courts. Here is a news release from the U. S. Department of Justice describing how asylum protection is granted in the United States including who may qualify, how to apply for asylum, when asylum can be terminated, among other things. This Document is titled Immigration Detention and Removal: A Guide for Detainees and Their Families. It was prepared by the Immigration Law Unit of the Legal Aid Society. This is a 27 page long guide, covering all stages of the removal process. If you are new to Immigration law it is probably best to read this after reviewing some of the more general material above.